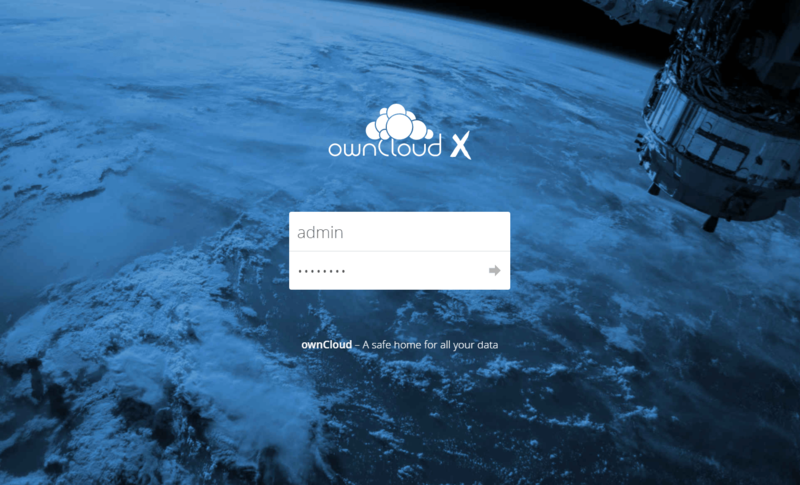 ownCloud is a web suite that provides cloud storage over the network. Data will be stored on the server and can be downloaded or accessed anytime with a browser or desktop client or smartphone app. ownCloud is based on PHP and an SQLite, MySQL, Oracle or PostgreSQL database, so it can run on all platforms that meet these requirements. It provides almost all possibility of functions that are available in commercial suites. ownCloud is released under an AGPLv3 license, so you can setup own cloud storage server without any additional cost. 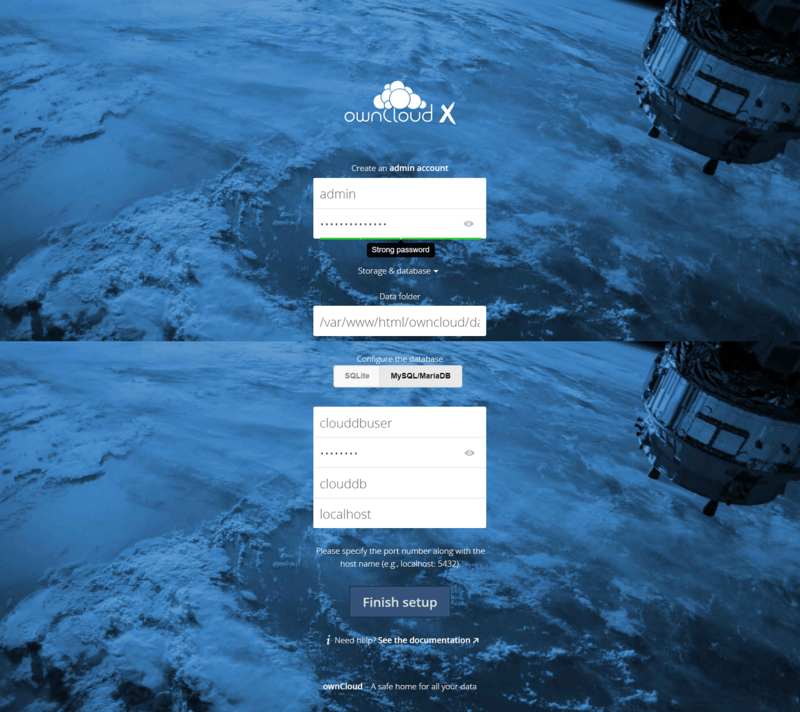 The commercial version of ownCloud is also available. Here is the small guide to setup ownCloud 10 on CentOS 7 / CentOS 6 / RHEL 7 / RHEL 6. Enable Redhat software collection repository on RHEL 7 and RHEL 6.
ownCloud works only with PHP v5.6 and above. 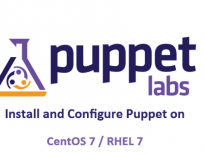 So, we need to configure Webtatic repository on CentOS / RHEL to get PHP 5.6 packages. Also, we need to enable EPEL repository to get dependent packages. Install the Apache server and PHP extensions using the yum command. As mentioned earlier, it is based on PHP and database combination. Database can be any of from SQLite, MySQL/MariaDB, Oracle or PostgreSQL database. For this demo, we will use MariaDB/MySQL as a database for ownCloud, and we will talk about the reason behind it later. ownCloud provides a variety of options (Tarball, Docker, Appliance, Linux Packages, and Web Installer) to run ownCloud in your environment. Here, we will use Linux installer for the installation of ownCloud. Import the ownCloud sigining key using the rpm command. Install the ownCloud package using the yum command. Allow the web server to read and write the files on ownCloud directory. Start the Apache and MariaDB/MySQL service using the following command. If you are setting up a MariaDB for the first time, run the mysql_secure_installation to Secure MariaDB / MySQL. MariaDB server must be started before creating the database. Log in to MySQL server. Allow “clouddbuser” to access the “clouddb” database on localhost with the predefined password. Flush the privileges and exit from the MySQL shell. 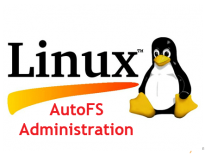 Configure SELinux to allow OwnCloud to write the data or disable SELinux permanently. If you get an error for semanage command not found, then. Configure the firewall to allow access to the ownCloud from external machines. Open up a web browser, point it to the below URL. The browser will take you to ownCloud setup page where it must be configured before going to live. Enter admin user name, password, data folder location and database details. You can choose either SQLite or MySQL/MariaDB to install ownCloud. If you decide SQLite database, you do not have to enter database details. But, using SQLite in a larger environment is not recommended. So, we will use MariaDB here. Enter the MySQL/MariaDB database details in the below page. Once the setup of ownCloud is complete, the web installer will take you to the ownCloud login page. Log in with your username and password you have just created in the previous step. 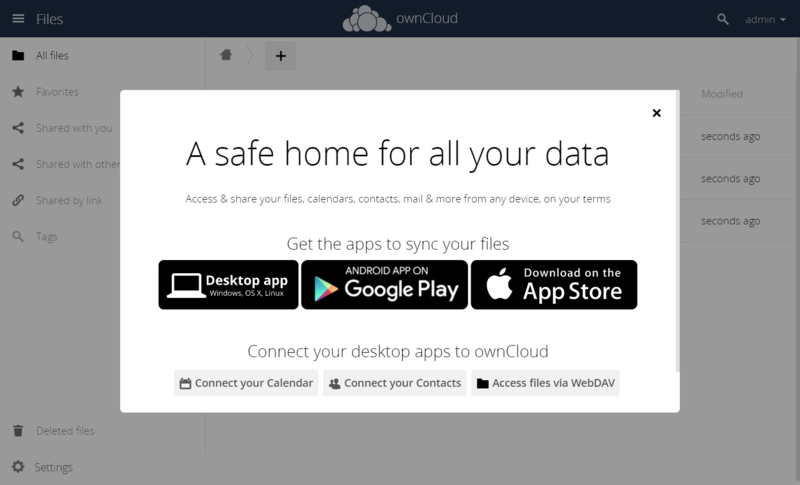 ownCloud offers official clients for Windows, Linux, Anroid, and iOS to keep documents sync across your devices. The portal of ownCloud will look like below. You can start uploading the documents and files using + Sign button. Yoy may get the below error message, in case you have changed an IP address of ownCloud server or the domain name you use to access the ownCloud. To resolve the issue, you need to modify the config/config.php file. Add the trusted domains shown like below.